So you have visited most of the highlights of Yogyakarta’s tourism attractions. And now, you need a more unique way to explore this city on the next holiday. You may consider Jogja Bromo tour for your upcoming holiday, but before that taking a country side cycling tour in this city will be a good idea. Just like the way it is called, it will be about cycling tour through the country side of Yogyakarta. However, you can actually expect more than a usual cycling tour since it is offered to provide such extraordinary and amazing experience for you. To give you clear picture about the tour, let’s check out some of the best things that you can expect from the typical Yogyakarta country side cycling tour. You will have a chance to cycle around rice field and also meet with the local people around the country side. It will be a nice getaway from the hustle bustle of the downtown Yogyakarta. The tour package usually has provided a mountain bike along with the helmet. 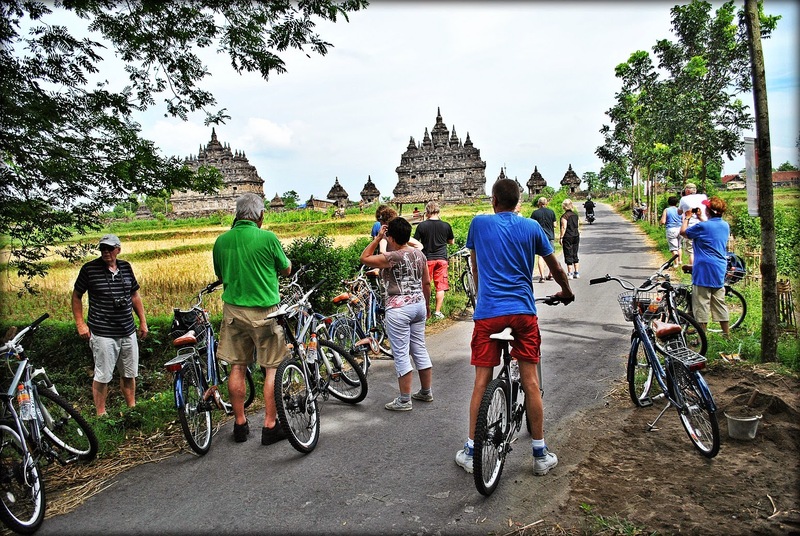 In addition to the cycling tour in the country side, the package is frequently offered with a tour to popular temples like Borobudur Temple and Prambanan Temple. When you decide to cycle around Prambanan temple, you may be guided to visit Plaosan Temple as well since the temple is located close to each other. As you are cycling around, you can expect to stop by in local home industry that is available along the track. In this case, you can anticipate visiting brick home industry, bamboo industry or even a tempe (a fermented soybean) industry. It will be a great chance to learn more about the culture of Yogyakarta. There is no doubt that it will be a fun tour through a country side by riding a bike. But, to make sure that you get the most of your cycling tour, here are several tips that you can take into account. First, make sure you choose the best tour provider. You will need a tour provider for the chance to explore Yogyakarta country side by bike and you need to choose the best one around. Make sure that the inclusion of the package is good for your needs. Cycling tour is usually affordable. It is usually offered under IDR 500,000. When talking about the budget, don’t forget to mind about the things included and excluded on the tour. Remember to carry some cash with you too. Now, are you ready to take a Yogyakarta country side cycling tour? If you feel interested to take this affordable yet fun tour, head to www.jogjabromotour.com to get the best package for this tour. Here, you can also find the best Jogja Bromo tour which becomes everyone’s favorite.